We all, regardless of religious beliefs, culture or life journey experience spiritual needs. Times of loss, change or loneliness are easier to negotiate when we have a safe supportive friend, skilled in listening compassionately and without judgment. 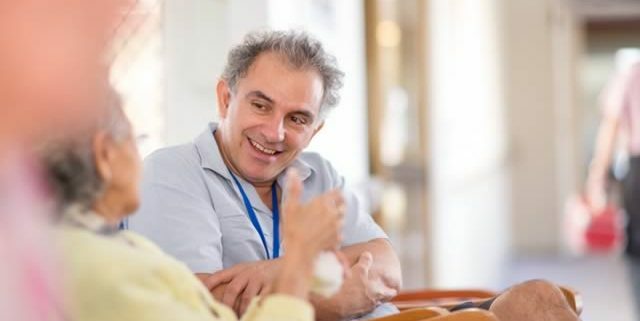 Our team of Spiritual Carers provide a service to help residents, their families and carers respond to times of emotional need, assisting in the regaining of hope and meaning and to reconnect in community. A Spiritual Carer offers companionship with empathy, helping through being a safe and impartial listener to make sense out of the “big” questions in life, while respecting personal beliefs and values. If you or a loved one would like to access the service of one of our Spiritual Care team, please speak with one of our friendly care staff for assistance.